Are you wondering how to cook eggplant easy and in gourmet style? Below is the perfect recipe for you! Gently sauté the eggplant in olive oil over medium low heat. Slice your eggplant with skin lengthwise into moderately thin strips. Coat your pan in olive oil and allow slices to cook for 1.5 minutes on each side. During the last minute, top your eggplant slices with sea salt, oregano, basil, pepper and feta cheese. It’s ready to serve! 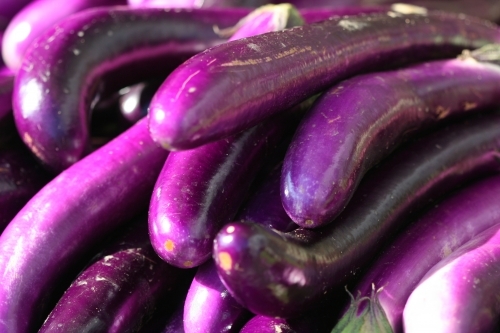 Eggplant is a wonderfully nutritious vegetable that can be served with meats, pasta’s or salads. Eggplant compliments beef, veal or lamb. To accent the taste your eggplant, serve a nice cabernet with a mixed green salad and Italian bread. The nutritious value in eggplant can help to hydrate they body and give you much needed antioxidants. A little known fact about eggplant is that it carries a lot of fiber and helps to clean the digestive tract and reduce risk of colon cancer.